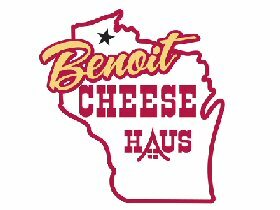 Benoit Cheese Haus is an Old fashion Specialty Cheese Haus that carries many of Wisconsin’s finest cheeses! The store has been open with its current mission statement since 1973 and has been a place where you can come in for great service and great cheese. 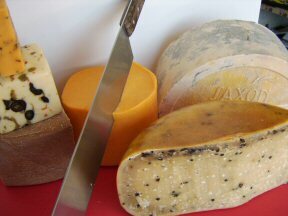 We support roughly 20 Wisconsin cheese makers’ finest cheeses, everything from fresh curds to 19 yr old cheddar. 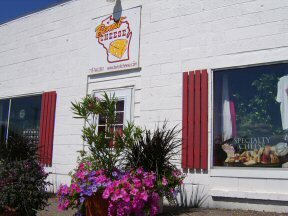 Come sample & learn about some amazing Wisconsin cheese history. Today the store has expanded to include many other items with a Wisconsin flavor including locally produced maple syrups, honey, wine, dairy products, specialty meats, soaps, relishes, old world meat, trinkets and much more. 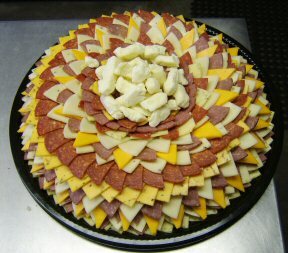 Benoit Cheese Haus takes pride in custom making Cheese & Sausage trays and also specialty gift boxes for any occasion. Call in or order online, WE SHIP Mon-Sat 9am-5pm. Driving directions: Located 11 miles from Ashland. Head West (toward Duluth) on U.S. Hwy. 2 for about 8 miles and turn on Hwy. 63 South (left). Follow Hwy. 63 for 2 miles and then turn West (right) on County Hwy. F. Proceed 1 mile and we are on the right.